Disciplining your child correctly can have your head spinning. You might have just been spanked as a child but now spanking has become a hot debate topic. While there are some experts that support using spanking, others believe spanking can hurt a child's self-esteem and growth. Explore the different pros and cons of spanking through looking at research and expert opinions. In recent decades, experts in a variety of fields have turned a critical eye toward the use of spanking as punishment. As more information is garnered about a child's psychological and emotional development, the use of physical punishment to train a child has come under attack with increasing frequency. Spanking is one of the biggest sources of debate when it comes to the politics of parenting. There is much controversy over whether spanking a child is acceptable as discipline with some parents standing by this method, and others staunchly advocating against its practice. Both California and Massachusetts have attempted without success to pass bills that would ban spanking as a form of discipline and make it illegal for parents to inflict physical punishment on their children. It should also be noted that paddlings in schools are still legal in 19 states. To truly understand the debate that is ongoing for spanking vs not spanking children, it's important to look at both sides of the argument. Those against spanking can point to scholarly research that shows spanking might lead to trauma, create aggressive behaviors or even violate human rights. However, experts on the pro-spanking side of the argument also use research to show how it can be an effective last resort method, helps establish respect and associates wrongdoing with a negative stimulus. Check out both sides before deciding where you stand on the debate. Many family advocacy groups, psychologists and other health professionals consider spanking to be inappropriate and recommend against its use. Not only can spanking cause physical harm to a child, but it might have lasting effects. A research study in Academic Pediatrics in 2017 showed that parents that use physical discipline on their younger children were more likely to report aggressive child behaviors. The researchers found that kids were 2.8% more likely to hit, kick or throw things if their parents used spanking to correct behaviors. It's also noted that this study was done by parents that used non-aggressive spanking. Those that were suspected to be overly forceful to the point of abuse were excluded. The logic behind the increase in physical violence is that physical violence is being used to punish, so the child is learning this violence and using it as a way to express themselves and their displeasure. There have been several studies that compared spanking to other forms of punishment showing it as futile. 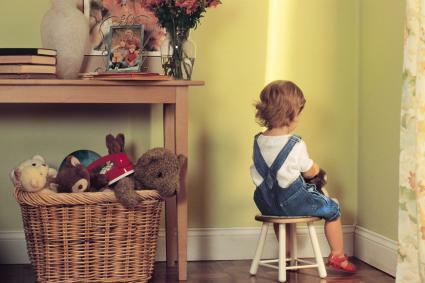 In her article Spanking and Child Development: We Know Enough Now to Stop Hitting Our Children, Elizabeth Gershoff points to several studies that show the ineffectiveness of spanking compared to time out. She also noted that even in the long-term more spanking was associated with less compliance of a parent's demands. Gershoff demonstrated that the reason that spanking is so ineffective is due to the fact that it can't meet the criteria of being consistent, immediate and delivered at the time of the behavior. Many parents aren't going to spank their child every time they misbehavior no matter where they are. Not only would this be abusive, but many people won't spank a child outside of the home. As people, individuals have the right to not get physically assaulted. Many professionals state that this should extend to children. Gershoff points out how spanking actually violates a child's human rights according to Article 19 of the Protection from Abuse and Neglect. This article shows how all forms of violence are included even "beating by parents". Noam Shpancer Ph.D. also furthers this by exploring how spanking becomes a moral debate. He argues that all individuals are protected from physical violence even criminals so should this not extend to vulnerable children. Several studies have shown that there is a link between physical discipline and the brain of children. For example, some research has shown that spanking can actually alter or shrink the gray matter in children's brains. Additionally, the toxic stress that is created by physical discipline can actually alter the development of the brain for children. Looking at the research, it can be difficult not to see why spanking has become a highly debated topic by parents and professionals alike. However, while there are professionals that point out the negatives of spanking, there are those that look at how spanking can be used effectively to discipline a child. Not only does spanking have a long history of being effective but there are several professionals that point out when spanking is used correctly, it can be an effective punishment tool. Clinical Psychologist Jared Pingleton argues that when spanking is used within appropriate guidelines, it can be effective. He also states that you need to take a child's age and the deed that was committed into consideration. Additionally, it needs to be motivated by discipline out of love rather than to strictly punish. Therefore prior to spanking, a clear warning needs to be administered along with a discussion on why the behavior is undesirable so the child can learn from the experience. Time outs not working? Some researchers say that giving a couple of open-handed thumps or non-abusive spanking can be effective. In children that are defiant or refusing time out, coupling it with non-abusive spanking can be a way to get them to cooperate and learn from the experience. This can help them to understand why the behavior was undesirable. These researchers also pointed out that spanking ranked first among discipline measures to work in cooperation with non-physical forms of punishment. Many proponents of spanking state that spanking helps to establish respect for parents. According to Domenick J. Maglio of In-Charge Parenting (181), spanking used in this day and age helps to establish respect by showing power within a family. The adverse stimulus of the spanking works to inhibit the behavior and show children that parents are in charge. This helps to reinforce respect for other authority figures as well like police officers. Maglio goes on to further state that children associate the undesirable behavior with the sting of a spanking which causes them to discontinue the behavior. Whether you choose spanking or not, it's also extremely important to use positive reinforcement. When you catch your children making the right choices, praise and encourage them. Make a habit to spend quality time with your child and encourage him or her in the things s/he is doing well. Enforcing the positive behaviors a child exhibits is often the best way to reduce negative behaviors before they occur. Spanking is a hotly debated issue that offers solid research and sources for both sides of the topic. Therefore, whatever choice you make as a parent to discipline your child, make sure to do your research and ensure that this is the best route for you. And remember positive reinforcement of the behaviors you want to see can go a long way in your defiant toddler.